One of the world’s leading geneticists wants to bring back an extinct human species by cloning it from reconstructed DNA, then implanting the resulting embryo into the womb of a human woman. Church wants to resurrect Neanderthals, which went extinct 33,000 years ago. Although popular culture has portrayed Neanderthals as stupid, brutish and wild, evidence suggests that they were probably as intelligent as our own species. Church is one of the originators of the Human Genome Project that mapped the human genetic code. He is also one of the foremost developers of the field of synthetic biology. He says that he has collected and analyzed enough Neanderthal DNA from bone fragments to create an artificial reconstruction – yes, just like the artificial reconstruction of dinosaur DNA at the center of the plot of Jurassic Park. Church would then inject this DNA into human stem cells, and later inject those stem cells into a fertilized human embryo. 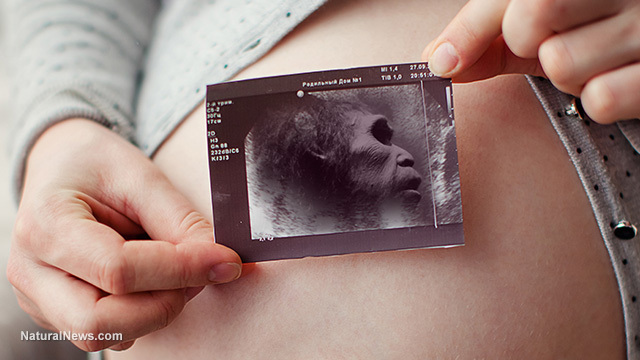 Church believes that the stem cells – with Neanderthal DNA – would hijack the DNA of the embryo and lead to the development of a Neanderthal instead of a human. The embryo would be implanted into a human surrogate to develop in utero. “It is hard to know where to begin with the ethical and safety concerns,” responded Philippa Taylor of the Christian Medical Fellowship. In an interview with German magazine Der Spiegel, Church sets out his tenuous rationale for the project. “Neanderthals might think differently than we do. They could even be more intelligent than us,” he said. Of course, Church completely ignores or glosses over the massive safety and ethical implications of his genetic tampering. Experts have raised concerns about the possibility of genetic errors producing deformity in the cloned Neanderthals, while others have noted that a 33,000-year extinct species would have no immunity to modern diseases. Bioethcist Bernard Rollin notes that cloning an extinct human being poses particular ethical challenges. How can Neanderthals consent to being brought back from extinction into a human-dominated world? “I don’t think it’s fair to put people… into a circumstance where they are going to be mocked and possibly feared,” Rollins said. Church’s plan may actually be illegal, as nearly all countries on earth, including his native United Kingdom, ban human reproductive cloning. Yet, because Church plans to clone Neanderthals and not modern humans, some governments might decide that those laws do not apply. Church’s plan may sound like mad science, but it’s part of a growing trend of genetic engineers increasingly setting their sights on the human genome. In 2015, Chinese scientists became the first to admit that they had performed human “germline modification” – that is, they had modified the DNA of a human embryo. Modern genetic therapies target only adult cells, giving them limited impact. But modifications to sperm, egg or embryonic cells affect the entire organism and are inherited by future generations. Experts worldwide have called for a moratorium on human germline modification, citing diverse and significant ethical concerns. But the call has gone unheeded. In February of this year, the United Kingdom’s Human Fertilisation and Embryology Authority (HFEA) gave the Francis Crick Institute permission to perform genetic modification experiments on human embryos. Previous Post: Clinton News Network: Watch CNN’s Wolf Blitzer Dance and Drink Wine in Celebration of Queen Hillary’s NominationNext Post: First Senior Bankers on the Planet Responsible for 2008 Economic Collapse FINALLY Jailed!